After five weeks at the top of Japan's sales charts, Pokemon Black and Pokemon White have met their match — Mario. Nintendo's budget priced Super Mario Collection for the Wii has landed in Japan and has dominated the competition. 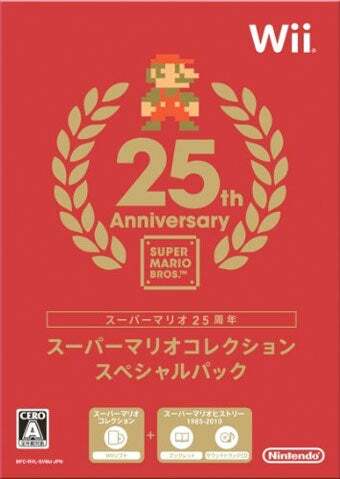 More than 300,000 copies of the Mario collection, which packs in 16-bit versions of four Super Mario Bros. games, were snapped by Japanese Wii owners. The game beat out new contenders like Sega's Vanquish and EA's Medal of Honor to score first place. The PlayStation Move launch line-up also hit Japan this past week, with the bestselling game amongst the group being Beat Sketch! for the PS3. Time Crisis, Sports Champions and Resident Evil 5 with Move controls managed to chart outside of the top ten. The full list from Media Create is after this.